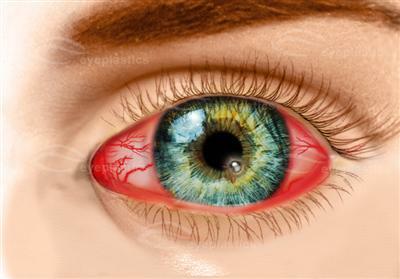 Early attention by an ophthalmologist or optometrist to any eye infection might prevent the ulceration and further injury to the cornea. 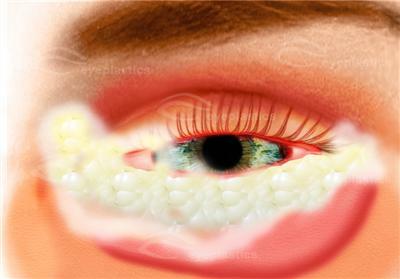 An untreated corneal ulcer can permanently damage the cornea. It might also perforate the eye, resulting in a spread of infection, increasing the risk of permanent visual impairment. Systemically, signs and symptoms might include a history of vaginitis, pelvic inflammatory disease or urethritis. Also a sexually transmitted ocular disease. Even casual interaction with infected individuals has been reported as a cause. Newborn infants might acquire the infection by passing through an infected birth canal. 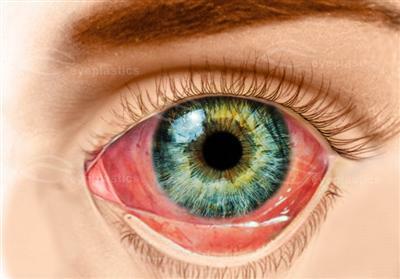 This is a very contagious ocular disease. Red eye with foreign body sensation. The eye might be shut with substantial pus discharge. The incubation period is generally two to seven days.